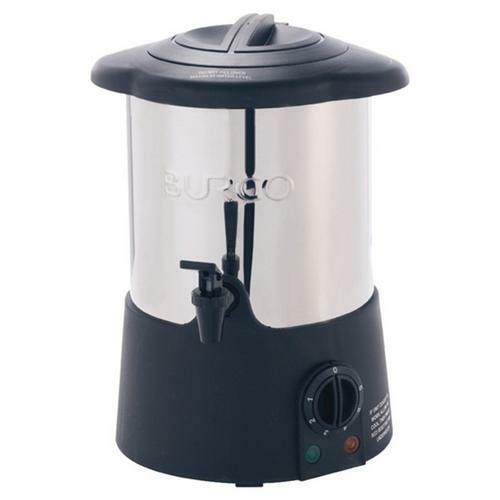 The 2.5L Baby Burco MFC2T Electric Water Boiler is Ideal for both Domestic & Commercial use giving around 15 cups of hot water. Manufactured from Stainless Steel and with a Cool to Touch Body for added safety, with the added benefit of being movable easily when empty. For added safety, the moulded top features a twist lock lid with integral steam vents and handles. There is a manual reset boil dry safety cut out and non-drip dual action dispensing tap. Efficient fully variable thermostatic control comes as standard and the concealed element with stainless steel body ensures ease of cleaning or de-scaling.